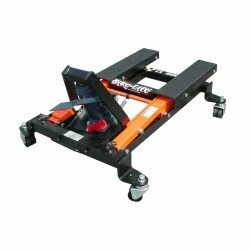 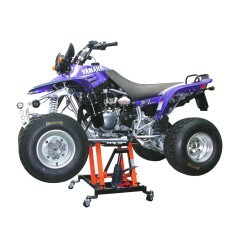 Hydraulic chassis lifts are ideal for use with all types of ATVs & quads whether it's a sport quad or a utility vehicle. 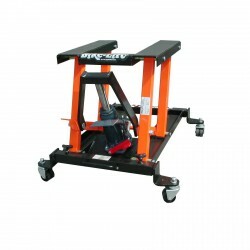 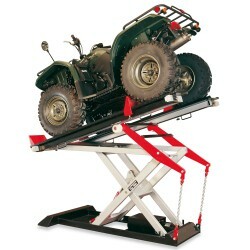 Other small 4-wheel vehicles can also be raised with this lift. 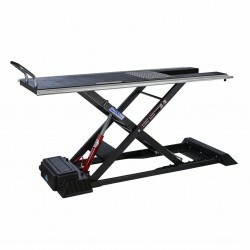 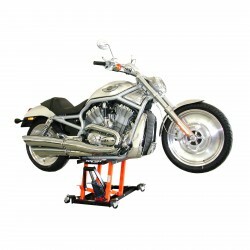 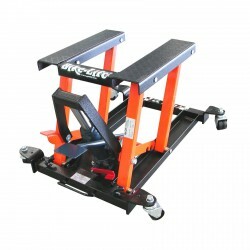 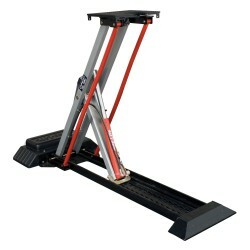 It can also be used with Custom Bikes - basically anything up to 500kg with a flat underside. 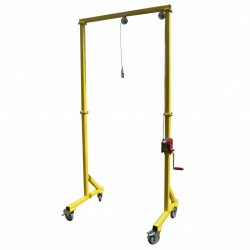 This unit is a professional quality Italian made unit for heavy use - very versatile with a reversible wheel kit to extend the lifting range. 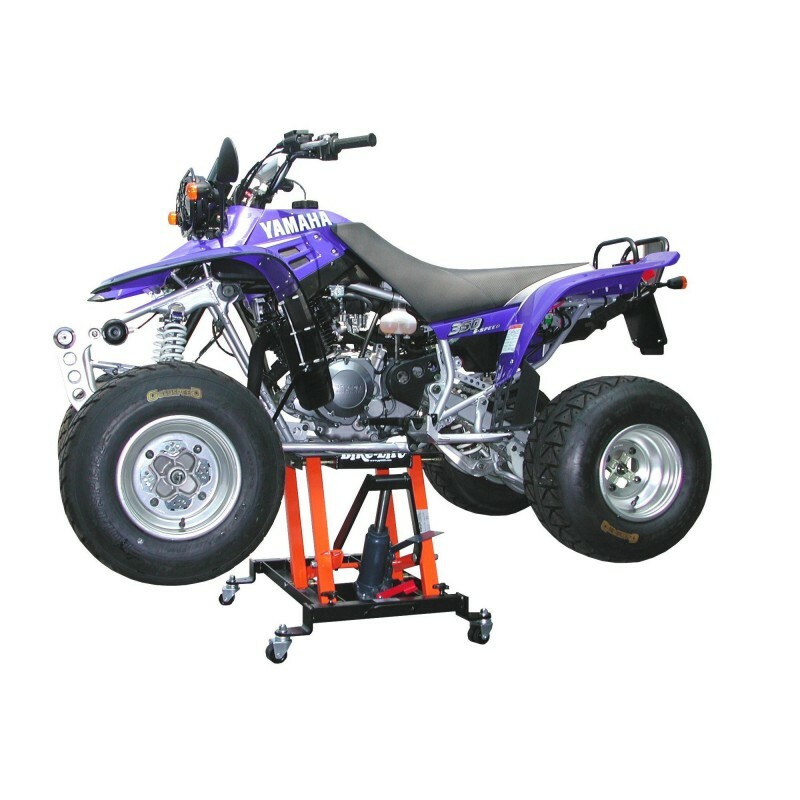 With the wheels in their lowest position, this lift is very thin when lowered, which is useful where ground clearance is restricted. 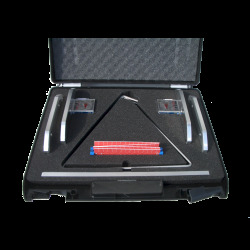 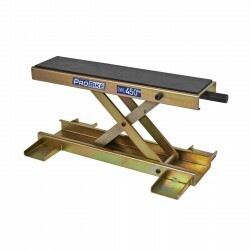 With the wheels in their highest position, it is possible to lift an additional 100mm. 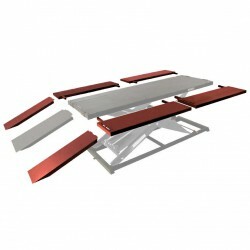 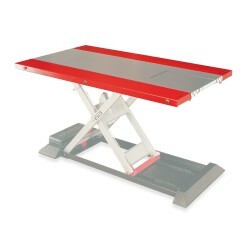 Features include: easy operation by foot lever; robust, heavy-duty designs; durable powder-coated finish. 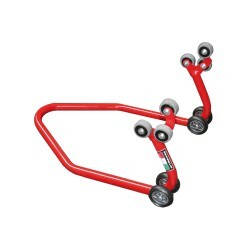 Reversible wheel kit included.